The Orthodox Church of the Holy Fathers of Nicea (Shrewsbury) is a medieval church of the Early English style, with Tudor and modern additions and alterations. It was originally the parish church of the village of Sutton, which is mentioned in the Doomsday Book. The manor belonged to the Wenlock Abbey as far back as the ninth century so it is highly probable that some church existed from that time and possible that it was on the site of the present church. The church fell into disuse in the 19th century and was virtually unused in the 20th until it was bought by the Orthodox community in 1994. It has been extensively restored since. As you approach the church from the gate into the field what you see is the red brick west wall with the medieval door and a gothic style wooden window. This wall was built in 1702. The bell cote is modern and replaces the original, a painting of which may be seen inside the church. At the ends of the stone walls on either side you will notice evidence of the continuation of the church particularly a door jamb on the north side. The north, south and east walls are medieval and were built in at least three stages. If you look at the south wall you will see that there is a distinct line in the stonework just below the dressed stone window sills. This is a ‘setting-out’ line and below the line the stonework is entirely composed of red sandstone. Above the line however the stone is both red sandstone and buff coloured Grinshill stone. (This feature is equally observable in both the north and the east walls). This suggests that these walls were built in two distinct stages. This might imply that the wall below the setting-out line is older, perhaps much older, than the wall above the setting-out line. It is not now possible to know. What we can do is to date the higher part of the walls by the thin lancet windows to the Early English period: late 12th to early 13th century. Notice that above the windows there are courses of later dressed Grinshill stone. These date from the Tudor restoration of the building in about 1545. The ChurchWe know that by 1538 the church was in poor repair. We discovered this when the wall paintings were first identified (1996) and it was observed that there were marks of water running down the face of the painting of Thomas Ã Becket. All images of this type had to be covered with lime wash or destroyed in 1538 on the orders of King Henry VIII. Assuming that this happened in our case it implies that water was pouring down the painting before it was covered – suggesting that there were serious holes in the roof. From recent (2010) geophysical archaeological surveys we now know that originally the church was about three yards longer (to the west) than at present. So, enough room for a north and south door (the door jamb of the north door can still be seen) and a west wall. Perhaps this had three lancet windows to match those in the east wall. It seems likely that some time in the early 16th century this west wall collapsed and the church fell into serious disrepair. The collapse of the west wall may account for the truss that now supports the east wall. At the apex of this east wall the stonework is very thin so the restorers may have decided to support the roof with three wooden trusses: the one in the east that covers the top of the central lancet window, one in the middle and one that is encased in the brickwork in the brick west wall. Geophysical Survey 2010We believe that soon after the Dissolution of the Monasteries the church was roofless and undergoing demolition, this is why five of the six lancet windows in the north and south walls have lost their ‘gothic tops’. However after a few years there seems to have been a change of mind and considerable repairs were initiated. The height of the north and south walls were restored and the roof was renewed. The west wall is rather curious. It would seem that at first this wall was a wooden frame with wattle and daub in-fill. The rest of the church (to the west) was demolished and squared off (though it is not in fact square). In 1702 the wattle and daub was replaced with brick and faced with the bricks that we see today. The door is medieval. Water colours of the church in the 18th century do not show this door but it probably was recovered from use elsewhere and had originally belonged to the church. The ancient font stands in the North West corner of the church. It is made low like this so that the candidate for baptism could climb into the font. It therefore is made for a time when adults or children – rather than babies – were being regularly baptised. This would put its date around the time of King Alfred – circa 900 A.D.
Lancet windows. These are typical of the Early English style. Long, thin but with pointed rather that rounded tops. Only the window in the north east corner and those in the east wall have retained their original arches. It is suggested that the reason for these narrow windows is that they were a security feature – they were too thin for anybody to climb through. The central truss is Tudor work and is considered to be very fine. Originally it seems to have been painted a grey green. The roof that you see is almost entirely new but notice that some of the original purlins remain – they are significantly smaller than the modern ones. Niches. On either side of the central lancet in the east wall there are two crudely cut niches. These were for statues and are of considerable interest. They appear to have had three manifestations. Originally their bases were in line and about six inches above the window reveal sill. Later the bases were raised about 15 inches bringing them in line with bottom of the east window – and the sill at this point was blocked up as well. Later still they were bricked in entirely and cemented over. When the church was restored these developments were removed. A reasonable conjecture as to why these developments took place is as follows. When the church was built as we have it, the floor of the sanctuary was significantly lower than at present and the altar was free-standing. The statues then stood in their niches with no connection to the altar. Later on in the 15th century liturgical fashion changed and the altar was pushed back against the wall and raised on steps and surrounded on three sides by curtains – the normal practice in England in the early sixteenth century. The niches were then raised and the statues stood at the corners of the altar. However what we can be sure of is that the statues stood out from the niches. The one to the south is significantly taller than the other. Who were the saints placed in the niches? Who can now say? But the Virgin Mary in one and St Milburga, who was probably the original patron of the church in the other, seems a reasonable guess. At the Reformation the statues were destroyed and the niches blocked up. From the central lancet widows all around the eastern half of the church you will notice that the walls are painted with red and ochre designs. For most of this area the designs consist of tendrils with small stencilled flowers. These are medieval wall paintings that were discovered during the restoration of the church in 1996. On the north wall there is a figurative painting showing the assassination of Thomas Ã Becket the archbishop of Canterbury. He was murdered for political reasons in Canterbury cathedral in 1170 by four knights attendant on King Henry II. The Pope declared him a martyr saint soon afterwards and a considerable cult developed with pilgrimages to his shrine in Canterbury Cathedral. We do not know why this subject should have been chosen for our church. One suggestion is that there was local interest in Thomas because Shrewsbury Abbey had numerous important relics associated with him. Although our painting has lost a great deal of paint and its original lustre, it is still possible to make out the most significant features. We see four knights in armour. They have plate armour covering their arms and legs, bascinet helmets (two with visors raised). Protecting their bodies are brigandines. Thomas kneels before the altar and his chaplain stands to the right of the picture holding Thomas’s archiepiscopal cross. One of the knights has struck the fatal blow that killed Thomas by removing the top of his skull. His cross has been cut in two by the blow from the sword.Experts date these paintings to about five years either side of 1380 because of the style of one of the knights’ gauntlets. This is of the ‘hour glass’ type. The brigandines suggest a slightly later date. So we have here depicted four men-at-arms in armour of exactly the type that would have been worn at the battle of Shrewsbury (1403). The wall paintings are of considerable interest and historic importance. First of all they are a complete scheme, which may in fact be unique, for in most churches there are succeeding layers of paintings as they were renewed over the years. Second the subject of the martyrdom of Thomas Ã Becket is unusual and nowhere has the cross been cut as it is here. This is the oldest figurative painting in Shrewsbury. Originally the painting would have been very brightly coloured. The most striking modern feature in the church is the new icon- screen. These are present in all Orthodox churches. They serve to join the things of God, behind the screen, with the people in front of the screen. They normally have central doors, only used during the services and two doors on either side for normal access. Our screen was carved and built by a member of the congregation, Aidan Hart, using materials found in the church when we bought it, particularly the oak joists supporting the floor and parts of some of the dilapidated pews. The screen is thus made of English oak, and follows the design of many Early English rood screens but the carving is in the Byzantine style, reflecting both the ancient fabric and the traditions of the Orthodox Church. IconostasisThese icons are all of the middle Byzantine style found in the 11th century churches of Daphne and Osios Loukas in Greece. This style is serene, confident and optimistic, characteristics so badly needed in our contemporary society but typical of the Orthodox Church today. The Holy Table is carved in a Byzantine style from three different types of English stone. The design is based on a Holy Table in a Byzantine church in Ravenna. You will also notice the modern gallery which runs across the church. This serves two functions: to hold the walls together and to provide space used by the choir during services and various other activities. Notice the painting underneath the gallery on the ceiling. This shows a canopy with the cross between the symbols for the four Evangelists. An eagle for St John, an angel for St Matthew, a lion for St Mark and a bull for St Luke. This was painted by a member of the congregation, Derek Simons. St Tysilio said to have been born in Pengwern thought to be the early name for Shrewsbury. 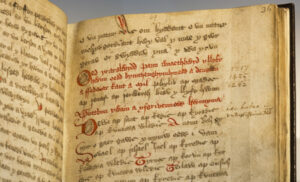 He became a missionary in Wales but fled to Brittany during the outbreak of plague in 545. St Gwenerth – these last three started a monastery at Welshpool, and their mission helped convert mid Wales particularly through the work of their disciples St Gwyddfarch who was abbot of the monastery in Meifod and subsequently lived as a hermit on the hill to the South West of that place.Other interesting icons are the icon of St Winifride whose shrine was in Shrewsbury Abbey, St Milburgha of Much Wenlock, and St Melangell from Pennant Melangell. 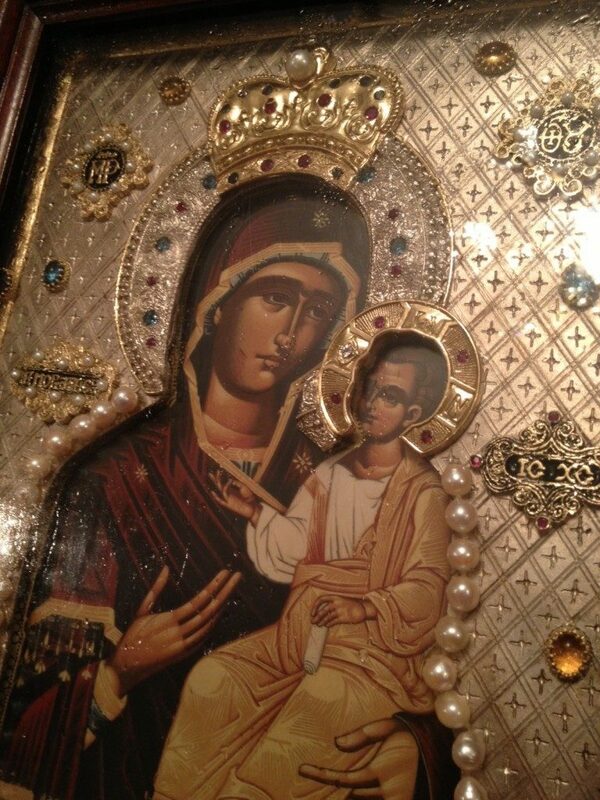 The icon of the Theotokos in the black and gold ornate frame is the oldest in the church. It is Serbian of the early 19th century and donated to the church by the internationally noted local flower arranger Howard Franklin. We do not know when Christianity arrived in Shropshire. Tradition tells us that St Simon the Zealot came to Britain soon after the arrival of the Roman Legions (43 AD) but his activities are related to Yorkshire. What we do know however is that the Romans established a very substantial city about five miles East of Shrewsbury at what is now called Wroxeter. It was called Viroconium Cornovii and was the fourth largest city in Britain. The words ‘Wroxeter’ and ‘Wrekin’ (the hill that dominates East Shropshire) are directly derived from Viroconium. Probably it was pronounced ‘Wrekonium’. With the withdrawal of the legions at the beginning of the fifth century a period of considerable political instability followed. However Viroconium continued to flourish for some time. For instance St Germanus of Auxerre came to Britain to counter the teachings of the heretic Pelagius in 429 and again in 447. He certainly visited Viroconium. Indeed it seems to have been the base for his mission into what is now mid and north Wales. The last British Archbishop of London, Theonas (Teon) fled to Viroconium in 586 when London fell to the pagan Saxons. The range of hills known now as the Stiperstones is called, in Welsh, Carneddi Teon in memory of him. There have been important excavations at Wroxeter where a bath house has been revealed. Perhaps more interestingly, it is now known that the city was extensively re-planned in the 5th century and a building has been discovered which some suggest was the house of the bishops of Viroconium. At some point the city was abandoned. Two of the very earliest churches in Britain exist close to Viroconium: St Andrew, Wroxeter and St Eata, Atcham, both dating to at least the 7th century. So as the British migrated westward, abandoning Viroconium, the English moved behind them, being converted in due course following the missionary drive of St Oswald and St Aidan and then St Chad. It was following this period that a monastery for nuns was established at Much Wenlock by St Milburga around 670. The monastery quickly attracted substantial endowments and the land which is now the parish of Sutton was part of that endowment. It is from this time that Sutton (which means ‘South Town’) begins to be mentioned in recorded history. The church itself may be significantly older however. From excavations in the 1970’s we know that Sutton was occupied from prehistoric times and right through the Romano-British period. Amongst a number of interesting finds was a Neolithic watercourse which ran to a stone lined basin a few yards South East of Sutton church. It is suggested that this may have been a pagan site, Christianised to become a baptistery. This might account for the siting of our church. The manor of Sutton remained in the ownership of the monastery at Much Wenlock until the Hundred Years war when it passed to Shrewsbury Abbey. It is unthinkable that any monastery would own a manor without erecting some kind of church for the enlightenment of their tenants and we may assume this to be the case in Sutton. That it was not mentioned in the Doomsday Book is not odd. Only half of the known Saxon churches are mentioned, simply because the others were not reckoned to have a taxable value. The church was probably a very simple wooden building and about all we have to show for this period is the ancient stone font. “1547 Nov 7th The bones of the blessed virgin Milburga (with four images from neighbouring villages) were burnt at the churchyard entrance.” (Perhaps one of these images was one that stood in a niche in the East wall of Sutton church). With the Reformation came another change of Faith for the worshippers in our church – Protestantism (Anglicanism). Judging by nineteenth and twentieth century histories of the period it could be thought that the English were eager and willing to accept the Reformation, the Dissolution of the monasteries and the Protestant faith. In fact this was very far from the truth, the changes were resented and unpopular and there was widespread resistance. 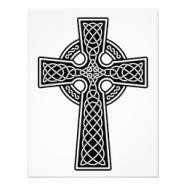 In fact Protestantism was imposed by force: fines, imprisonment and, for some, the executioner’s axe. Some of this may be gleaned from Thomas Butler’s journal. “1553 July 22nd at Bridgnorth in the fair there was proclaimed Lady Mary Queen of England… the people made great joy … lauding thanking and praising God Almighty … and making bonfires in every street … a triumphal solemnity made in Shrewsbury and also in this borough of Much Wenlock. 1553 Sept 3rd I, Thomas Butler, vicar celebrated divine services and also the mass in Latin words according to the old custom … by authority of the most excellent virgin Queen Mary. 1558 Nov 17th To be had in remembrance that this day departed by death the noble Queen Marie … and the same day was Elizabeth proclaimed queen in London. 1559 June 25th It is to be had in remembrance that the celebration of the divine service in the English tongue was begun this day.”During this Anglican period Sutton church was repaired from time to time, particularly at the end of the nineteenth and beginning of the twentieth centuries. However the church was used very seldom. The last recorded burial was in 1857, the last baptism in 1868 and the last marriage in 1870. The furnishings were stripped out, services were held less and less often until by 1948 it became a farmer’s store. It was in this condition when it was bought back by its original owners, the Orthodox Church, for £50. It was in a state of very serious disrepair needing re-roofing, major support to the walls, and re-flooring. All the major work has now been completed. Brigandine. These were typically padded sleeveless jackets which had strips of plate armour riveted to the padding on the inside. They were developed on the continent and were adopted in England towards the end of the 14th century. They became very popular in the 15th century. There is another medieval painting in Shrewsbury of the Last Supper in the King’s Head pub in Mardol. It is later than ours. Hide: a land unit reckoned at 120 acres. St Nicholas Orthodox Church, Cardiff. His Grace Bishop Irenei of Sacramento is bringing the icon, which usually resides in the Russian parish in Hawaii.